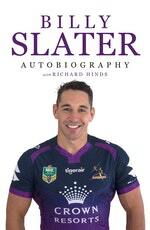 Now in paperback, the autobiography of one the greatest rugby league players of all time. 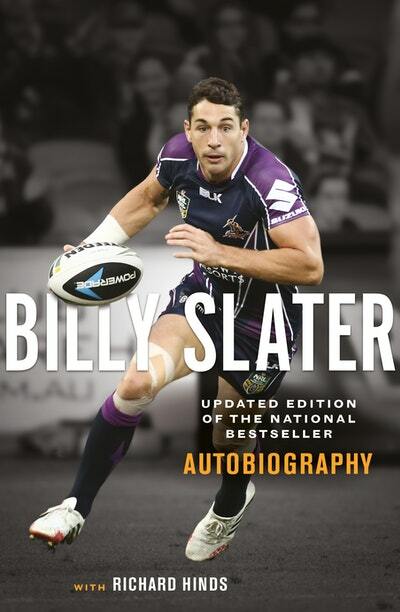 Billy Slater has been called the best fullback ever to have played the game by rugby league greats and fans alike. With a glittering collection of personal and club honours, including four grand final wins, five Dally M awards and two Clive Churchill Medals, he has delighted fans of the Melbourne Storm, Queensland State of Origin and the Australian Kangaroos for sixteen years. More than just a decorated player, however, Slater is a widely regarded and respected figure in the sport. A young country recruit with superb natural talent, he debuted for the Storm after only one pre-season in Melbourne and sent shockwaves through State of Origin in just his second season. But Slater capitalised on his talent with a fierce competitive drive and a relentless work ethic, which he learned from his parents and honed working in the racing industry before hitting the NRL stage. As well as many celebrated victories, Slater’s career has seen him confront the Melbourne Storm salary cap scandal, heartbreaking losses and a devastating shoulder injury that made him fear that he would never hold his children again, let alone compete in a brutal sport like rugby league. Through it all Slater has emerged not merely as a great of the game, but as an even more resilient character, an ambassador for his sport, and a devoted husband and father. Featuring contributions from rugby league legends like Cooper Cronk, Craig Bellamy, Darren Lockyer and Cameron Smith, and from the Slater family, this edition is updated to include Billy’s final season in the NRL before farewelling the game. On 16 March 2017 I played my two hundred and seventy-ninth game for the Melbourne Storm. Add twenty-seven State of Origin appearances for Queensland and twenty-five games for Australia, and this was my three hundred and thirty-first game of top-flight rugby league. But this was a game like few others. The Melbourne Storm played the Brisbane Broncos at AAMI Park and won 14–12. To be honest, I didn’t perform particularly well. Coming off the bench, I missed a few passes and didn’t quite have my timing right. Normally I would have been a bit disappointed with my form. This time, I was elated. 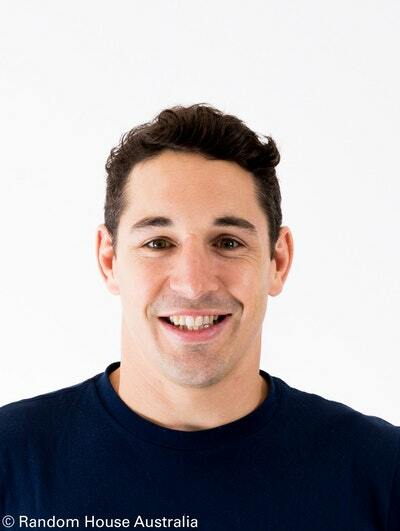 Billy Slater recalls an early, now infamous, State of Origin moment. 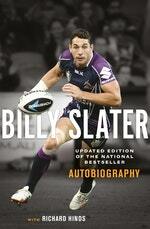 Love Billy Slater Autobiography? Subscribe to Read More to find out about similar books.